Waking up early to go Black Friday shopping this year? Shopping tends to be very tiring at the best of times. But Black Friday shopping really takes it to another level. 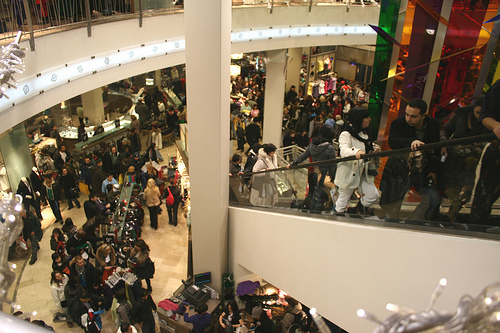 With five times as many shoppers scrambling around, an effective Black Friday shopper must be adequately prepared. Having the energy to wake up at 3am and brave the crowds while hopping from store to store and the mental acuity to find the best bargains is no easy task. For the most successful of Black Friday excursions, many shoppers look for safe and effective ways to increase energy. Caffeine is the ideal ingredient for anyone looking to boost concentration, alertness and energy. With the added energy that caffeine brings, shoppers can make it to every store on their list. Tasks such as trying on clothes, pushing around heavy shopping carts and sifting through messy displays suddenly become much easier. Studies show that caffeine increases reaction time, so dodging people and traffic becomes second nature. The added alertness allows early morning shoppers to stay sharp despite limited sleep. GreenCoffex® is a Black Friday shopper’s greatest ally. Taking a supplement such as GreenCoffex® trumps all the other sources of energy needed for a Black Friday shopping excursion. Taking a vegan capsule on the way out the door will provide 8 hours of sustained, natural energy. When compared with a cup of coffee, which may provide you with one-two hours of increased energy, GreenCoffex® allows you to stay on the go for longer. GreenCoffex® will also save you time, energy and money. There’s no waiting in lines at overpriced coffee shops, carrying a cup from store to store restricting your shopping or having to worry about vile coffee breath. What makes GreenCoffex® better than any other caffeine pills is the time release technology, providing 8 hours of pure, unprocessed green coffee extract. The best part of taking green coffee extract capsules? There’s no crashing at the end. We hope that everyone has a great Thanksgiving. To those braving the mall on Black Friday, we wish you all the best and want to remind you not to forget your GreenCoffex®. If you’re near a Meijer store, pick some up, and if not, be sure to order online in advance!